For over two decades now, our team of professional home remodeling contractors at Best Home Renovations have been proudly providing our high quality remodeling services to homeowners all throughout Wood Dale and the surrounding areas. Since 1997, we have been the premier Wood Dale remodeling contractors, and have been delivering the highest quality service of any other remodeling service in the area. Our team of experts are here to guide you through every stage of the remodeling process, and will help you make the best choices among services and materials to help you get the design you want to achieve for your home, all while making sure the project stays within your budget. Our foremost goal in every service we deliver is to make sure that you are 100% satisfied with the results of your project. Here at Best Home Renovations, we take customer satisfaction very seriously, which is why we are so honored by the fact that so many local homeowners have trusted us with their home’s service over the years. When you hire our team of professionals for your home remodeling work, you can rest assured that you are getting a team that is going to work their absolute hardest to deliver to you the customized, high quality service you need to get your home looking and functioning exactly the way you want it to. 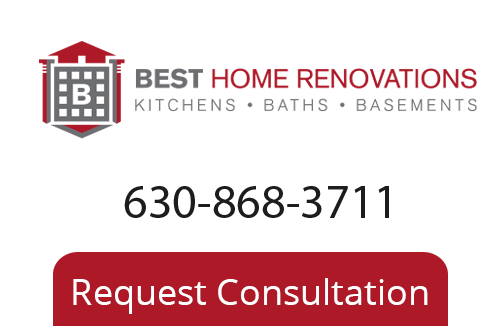 Give Best Home Renovations a call today if you have any questions about our full line of professional remodeling services, or if you would like to schedule an appointment for your service. Our team of experts are always standing by and would be happy to take your calls and answer your questions. We can discuss your prospective project with you and help you find the perfect design to fit your wants and needs. Here at Best Home Renovations, our team of professional Wood Dale kitchen remodeling contractors can help you vastly improve the look, feel, and the function of your old kitchen space. The kitchen is one of the most important rooms in the entire home, so doesn’t it make sense for it to be a room that everyone enjoys spending time in? The kitchen is a central hub for your home, giving you and your family a space to gather at the end of the day to share stories and meals, and just form memories together. With a high quality kitchen remodeling project, you can enhance every moment you and your family spend in this room by making it a space that is perfectly suited to you and your family’s particular needs. Our professional design experts can guide you through the entire process so that by the time the work is finished, you have the kitchen space that you’ve always dreamed about. We guarantee that you and your family will be satisfied with your new kitchen for many years to come. When you decide to update your home’s bathrooms with a professional remodeling project, it is important for you to take into account both the aesthetic changes you are looking to make, and the functional ones, and where those changes are going to intersect. Our team of professional bathroom remodeling contractors are always focused on both of these goals, helping to ensure that the results of your bathroom remodeling job are as rewarding as possible for you and your family. If you are looking for a professional home remodeling contractor in Wood Dale or the surrounding area, give us a call today at 630-868-3711 or fill out our online request form.